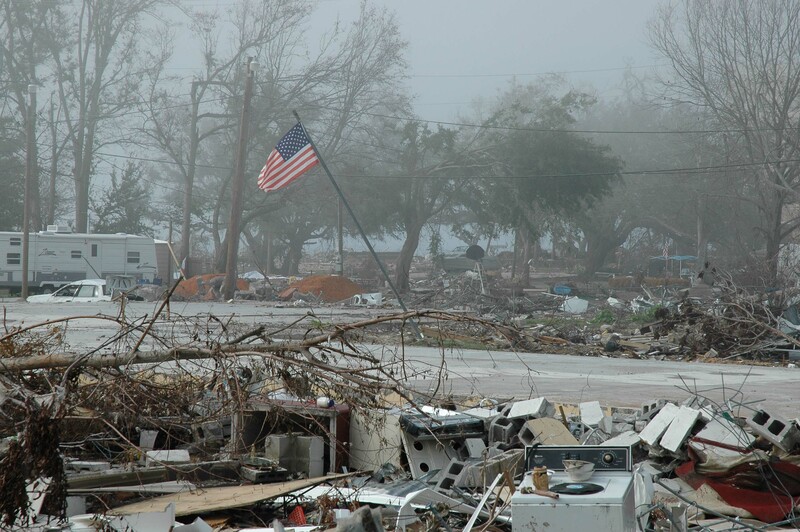 If you turned on the television this past weekend, you would have seen several reminders that Hurricane Katrina provided a wide swath of devastation to the Gulf Coast region, five years ago. At the time, I worked for Doosan Infracore America Corp, subsidiary of Doosan Infracore, a global equipment manufacturer that manufactured excavators, wheel loaders, skid steer loaders, lift trucks and machine tools. I served as Marketing Manager for the Construction Equipment Division. Five years ago, it became clear very quickly that the time to act in helping residents of the region was a something that we should do, as a manufacturer of the equipment that could help in removing debris and helping residents in the region get their lives back in order. Our goal was to assist the hardest hit residents, in an area that was not covered very much, during the aftermath. We decided to help the residents of Mississippi. 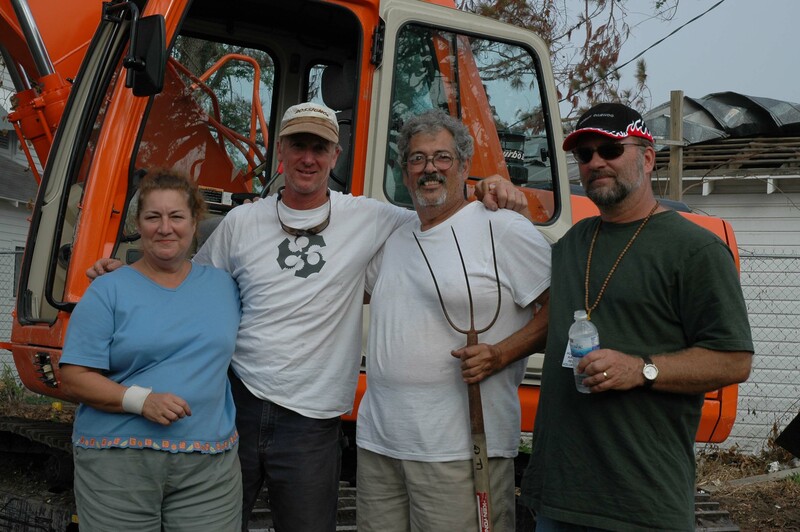 Getting the process started was a very daunting task, given the fact that we were looking for the right volunteers – people who were able to operate our equipment and who were helping residents in Mississippi for free. I personally led the effort to identify and supply the volunteers – a task that took more time than I expected. After much searching, we were referred to a group of Burning Man volunteers, many who had traveled from the Western part of our country. With little more than the desire to assist and some small equipment, the group descended on Biloxi. With generous assistance from Geith, Keen Transport and Coastal Machinery, Doosan Infracore sent a S140LC-V excavator and M160 TC loader to Biloxi on November 5, 2005. I’ll never forget this day, as it was the culmination of a mission that became very personal to me during the previous few months. Rich Olivier, with Construction Equipment Guide and I rolled into East Biloxi on the morning of that the units were delivered. Our drive was a long one, since we had to stay in Pensacola and commute to our destination from there. I made the trip to Biloxi from Pensacola many times during the next few months. The purpose of this post isn’t to remember what the players I mentioned did to help the residents of East Biloxi. What I remember most during this time is what the residents of Biloxi, and the volunteers who assisted them provided for me. This post is about the thoughts that I had time to reflect on during commute from Pensacola, Florida to East Biloxi, Mississippi. I’ll always remember the strong and faithful residents of Biloxi who, despite losing everything, provided inspiration with their desire to put their lives back in order, with a sense of pride and gratitude. There were many times when I watched debris being moved to the curb, while residents looked for just one link to their past, among the rubble. Times when very ordinary items like a wine glass, Mardi Gras beads, or a drivers license provided a link to a much happier past. There was the handwritten thank you card from a Biloxi resident whom I helped get to Mobile so that he could rest his head on a pillow. The elderly gentleman lost nearly all that he had, including a significant collection of watercolor paintings that he had produced over the years. Inside the thank you card was a water damaged Polaroid photo of one of his prized pieces of art. A man who had lost nearly everything reached deep inside to provide a link to his past, as a gesture of gratitude. There were several occasions when stories and hugs were shared, along with tears. A moment later, the tears were wiped away and the expression turned from sorrow to resolve, as the conversation turned to rebuilding. I’ll never forget the people of Biloxi, Mississippi. And of course, there were the volunteers who came from all across the country to help, including the Burning Man volunteers. The group of spontaneous volunteers soon began to call themselves, “Burners Without Borders” and have continue to provide assistance around the world. While I was unable to attend the yearly event in 2006, one of my most coveted possessions is a ticket that was provided to me by the volunteers for the yearly event known as Burning Man. The group went on to produce a documentary about their experience called, Burn on the Bayou. The chances are very good that had it not been for the tragic event and our combined determination to help, I would never have learned about Burning Man, or met any of its members. It’s funny how we can often walk through life with blinders on, hanging around people who often think and appear the exact same way that we do, without looking outside of our self-inflicted boundaries. The Burning Man volunteers talked the talk and walked the walk, so ultimately we had much more in common than it first appeared. There were some times, late in the project, when I didn’t make my commute from Pensacola to Biloxi. During those times I spent the night in camp with the volunteers, where we shared stories and created friendships. So, as I look on the five year anniversary of Hurricane Katrina, I remember many people who enriched my life with their example. People who summoned up their energy back then, as well as today, to move beyond the past and into a brighter future. While the stretch to full recovery still seems as expansive as the distance from Pensacola to Biloxi, it is the people who gave me much to think about during a long drive – who give me hope that the day to full recovery will come to Gulf Coast region. Many thanks for Barry Weber, of TECHNOMEDIAXP for providing many of the photos contained in the slideshow below. Jeff – nice post about Katrina and the Biloxi residents. If you don’t have a copy of Burn on the Bayou and would like one, I’d be happy to send it to you (I directed it.) It’s also showing on the Documentary Channel, maybe now, but certainly starting in October. (The Doc Channel is available on Dish & DirecTV). Thank you for taking the time to read my post and for providing your kind comment. I also appreciate the generous offer to send a copy of your documentary. Thankfully, Richard Scott gave me a copy of it a few years ago. You did an outstanding job on Burn on the Bayou! My children saw Burn on the Bayou on the Documentary Channel several months ago. They were thrilled to see the equipment working! Thanks again, for taking the time to read my post and for including your comment. And again, congratulations on your outstanding documentary!